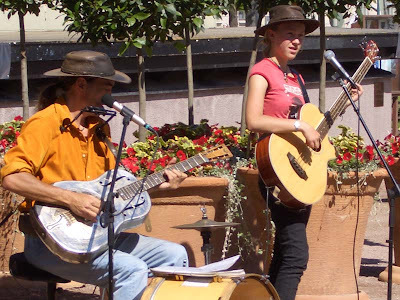 This guy has been a one man band street musician around the world for his entire adult life. Now his teenaged daughter is joining him. That's an acoustic bass guitar that she is playing. Check out his website. 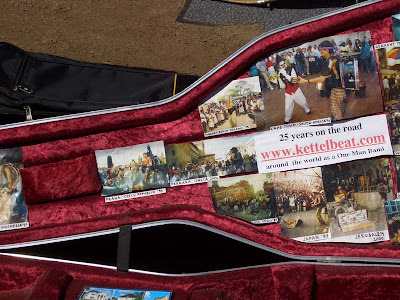 http://www.kettelbeat.com/ to get the full story.